Playing with a heavy heart, Kansas Royals pitcher Yordano Ventura paid tribute to late friend and former St. Louis Cardinals outfielder Oscar Taveras. 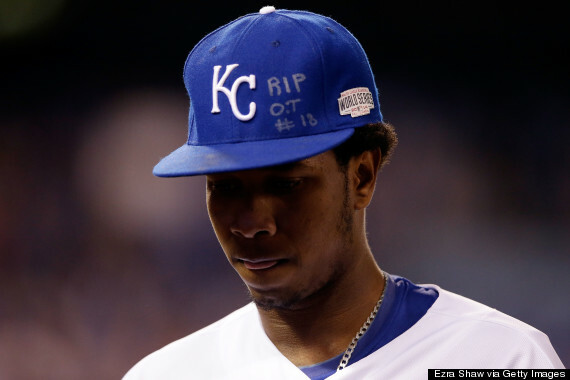 Starting in Game 6 of the World Series just days after the 22-year-old Taveras died in a car accident in the Dominican Republic, Ventura honored him with a message on his hat. "I consider myself a friend of his, and my thoughts are with the family and of all of those who know him," Ventura said on Monday, via David Brown of Big League Stew. "It's a very difficult time. And such is life — things like this happen." In Game 6, Ventura dominated the San Francisco Giants for seven shutout innings and only gave up three hits in a 10-0 blowout win.